Smoked Peppers on the grill, blistered before stuffing. Some days in the Grillax Test Kitchen, we think outside the box, so we will share how to grill smoked peppers for a dish that is sure to please those lovers of spicy food. You can find a great selection of peppers at the local market almost year round, including colorful bells and large poblanos. Both of these work well during grill sessions. 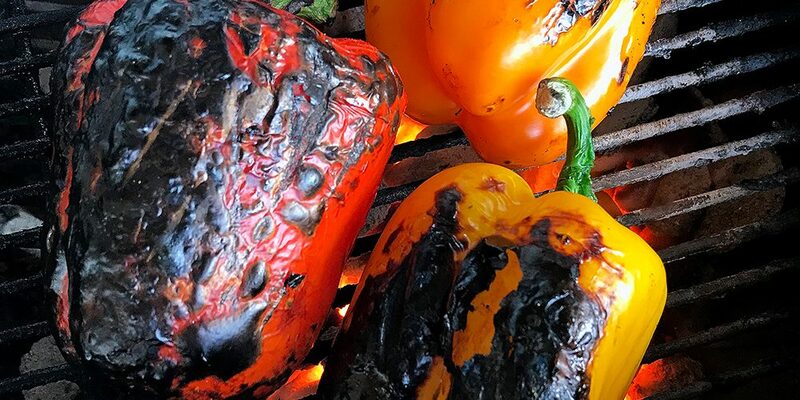 Grill masters should be utilize them whenever possible … smoke peppers are so good off the grill. 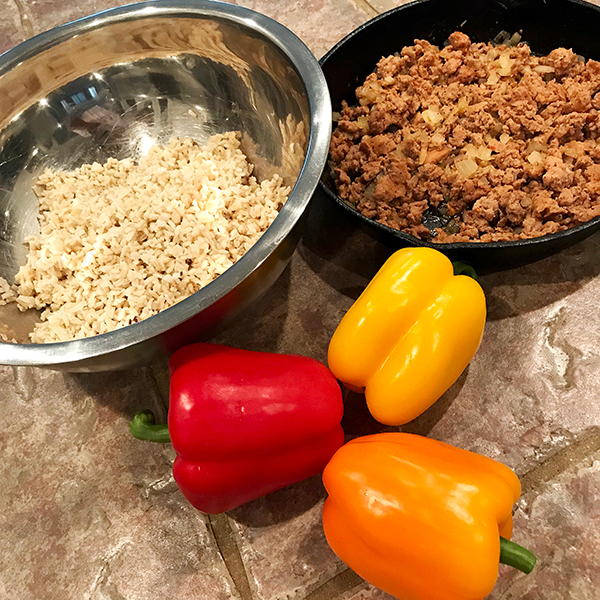 Ideally, we will use a hearty dirty rice for our smoked peppers filler. Not this time. 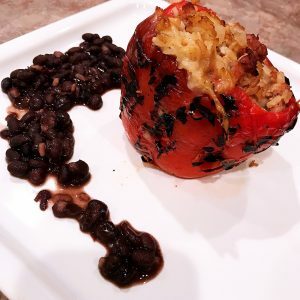 To make this a healthy dinner option we’ve removed the traditional pork and white rice from the smoked peppers, and replaced with turkey and brown rice. 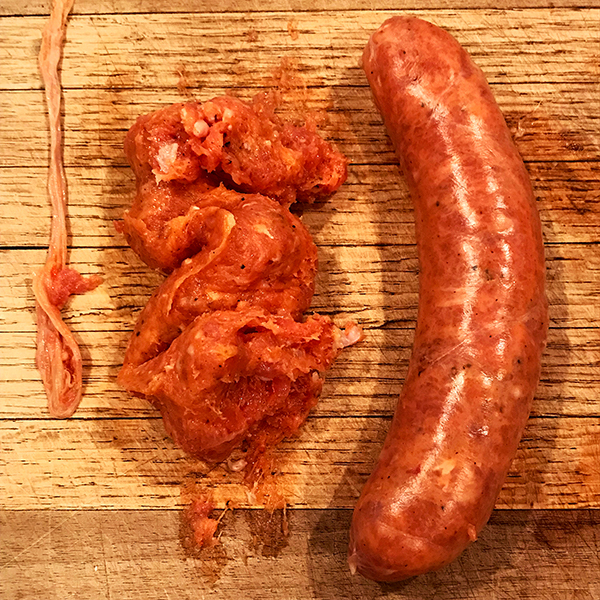 Turkey sausage is lean compared to pork. Brown rice is a whole grain, with all of the nutrients intact from the harvest. White rice has most of the nutrients removed and artificially added back to make it more palatable. Our alternative dirty rice filler is not only healthier for the smoke peppers, but very tasty. We think you’ll love it. 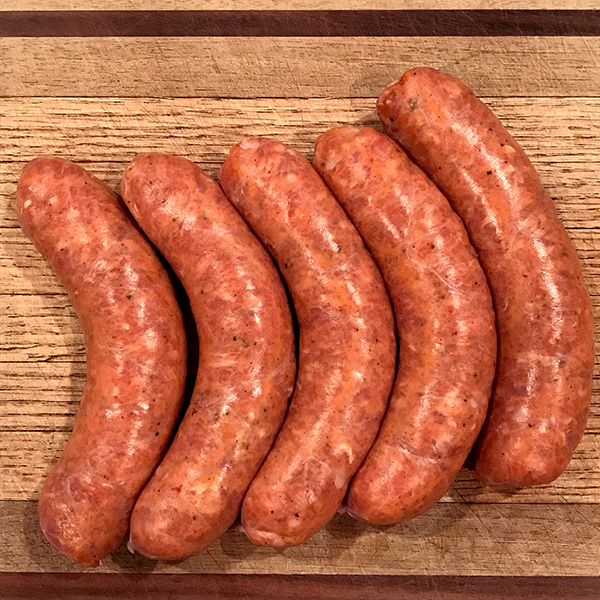 Hot Italian turkey sausage can be found in most markets worldwide. This is how your ground turkey should look after removing the casings. Smoked Peppers on the grill, must first be blistered before stuffing. Smoked Peppers on the grill, must first be blistered, then have the steam removed before stuffing. 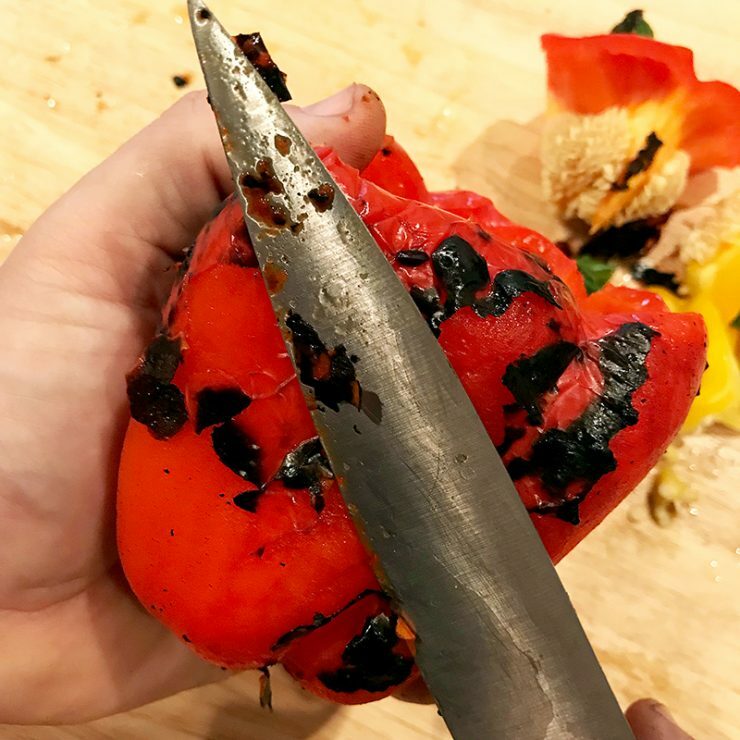 Removing excess char from smoked peppers is easy with a blunt knife. Start by cooking the brown rice at a 2:1 ratio, which is 3 cups of water to 1.5 cups of rice. Set aside up to a day in the refrigerator. On a chopping board, slice your sausage links lengthwise to sever the thin casing. Pull the casing from the center out, forcing out the finely ground turkey. Place the meat aside and discard the casings. Pour the olive oil into a cast iron skillet. Add the meat to the iron skillet and brown over medium-high heat. Add the onions, garlic and dry spices and mix thoroughly. Reduce heat to medium and cook for 6-8 minutes. Set aside and let cool. Fire up your grill to very high heat in a two-zone setup. 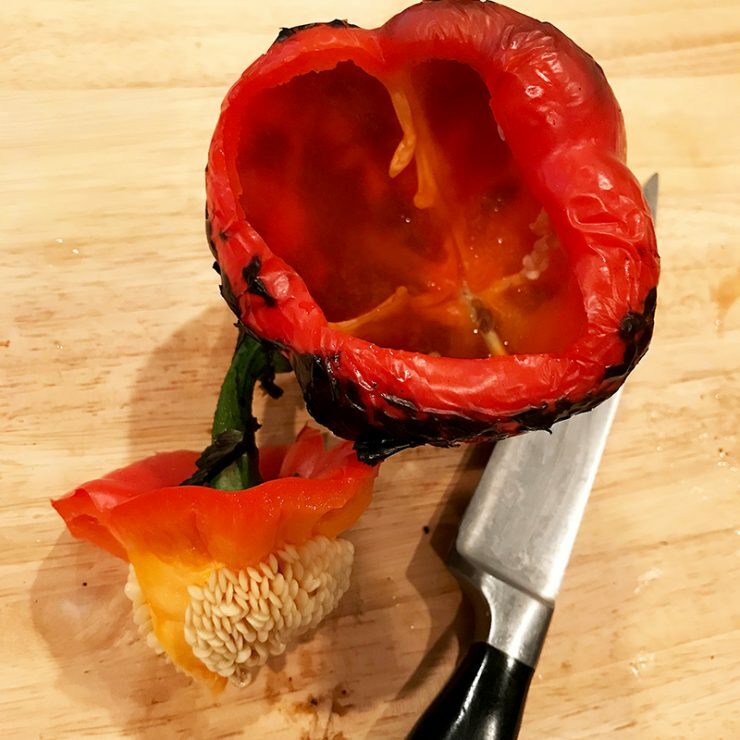 Place the whole peppers directly over the charcoal or flames for one minute per side (four sides), or until you have nice blistering and some charring on the peppers. Using a sharp pairing knife, cut around the stem of the peppers fully. With a pair of tongs, twist the severed stems until releases from the peppers, seeds intact. With a butter knife (blunt blade), remove the excess charring from the peppers and discard. Fill the peppers with the dirty rice mixture until it forms a mound at the top, about the size of half a golf ball. 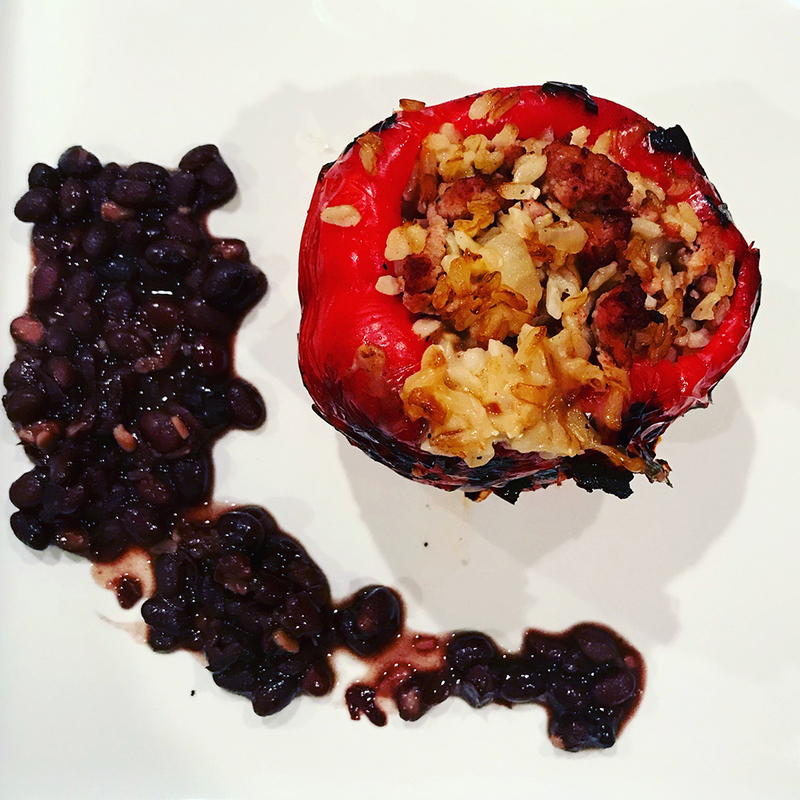 Place the filled peppers into a deep-sided pan and cover with aluminum foil. 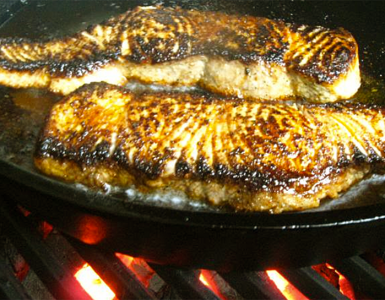 Place the pan in the cool zone of your grill. Close the bottom vents of your grill to about 20 percent, and leave the top vent wide open. Add the wood chunks to the coals and cover for 30 minutes. This should smoke at a temperature of 300-325 degrees. In a cast iron skillet, heat olive oil over medium heat. Add flour and stir constantly until the flour’s color is caramel. Add the onion and jalapeño and continue stirring. Add the black beans and the stock into the skillet and stir. Adjust heat to medium high, and continue to stir until it begins to bubble. Reduce heat to low and simmer 20 minutes, stirring occasionally. The beans will thicken as they simmer, which is what you want. Do not add water or stock. Run your cilantro under cold water to wash. Let dry between paper towels, then remove leaves from the stems. Place cilantro in a large mixing bowl. Add diced avocado, chopped tomatoes, sliced red onion and corn. Squeeze lime juice over the salad and drizzle with olive oil. Toss gently. Add pepper flakes and sprinkle with cheese and toss again. Store in the refrigerator up to a day. 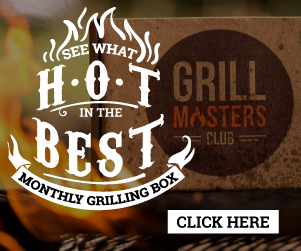 Barin von Foregger founded Grillax with one mission ... Get the world grillin' and chillin'. A self-taught chef and grill master, von Foregger enjoys sharing his adventures with the world. 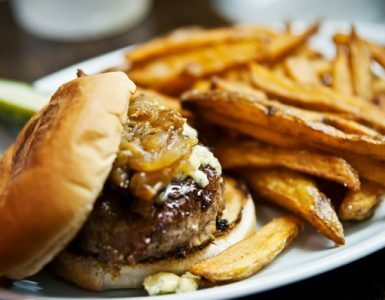 In his words, "If you can eat it, you can grill it." 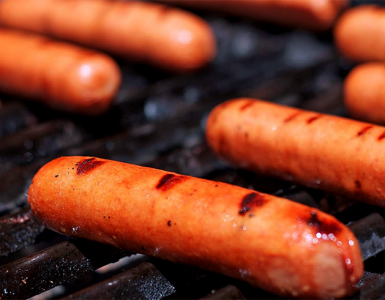 No Independence Day celebration is complete without a hot dog.